Bees wrap is an awesome addition to plastic wrap! Check out the colorful versions available from bees wrap. 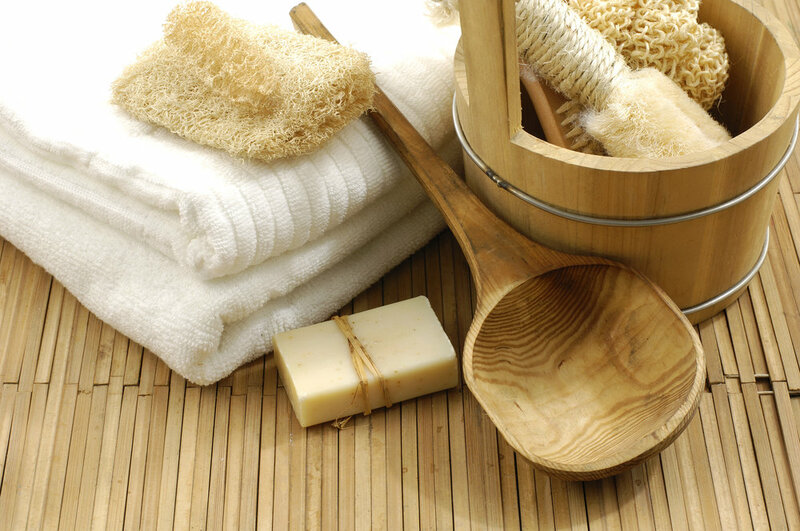 It is made from organic cotton, beeswax, organic jojoba oil, and tree resin. Bee’s Wrap is washable, reusable and compostable. Plastic has its amazing uses. It's hard to imagine a world without it. But sweeping changes are needed by us all in order to avoid destruction to the planet and our bodies. Plastic has now been found on every beach in the world and by 2050, experts say there will be more plastic in the ocean than fish - especially if nothing changes. New to the issue of plastic? Looking up your game? Looking for plastic-free product recommendations? This is a great place to be! ARE REUSABLE SHOPPING BAGS MAKING YOU FAT? Walk along most beaches in the world and it quickly becomes obvious that there is an unprecedented level of plastic waste invading our oceans and shores. But there's even more less obvious impacts - including millions of micorfiber plastics washing off our clothing and rubbing off our shoes - and effects on our health and hormones. The problem can seem too overwhelming. But the first step is just to CHANGE ONE THING. Get mindful of one item you want to start consciously saying "No" to whenever possible to remove it from your life. if you want proof that small changes add up, look no further than the tiny plastic straw. Americans use 500 million disposable plastic straws EVERY DAY. (That's not even the rest of the WORLD!) 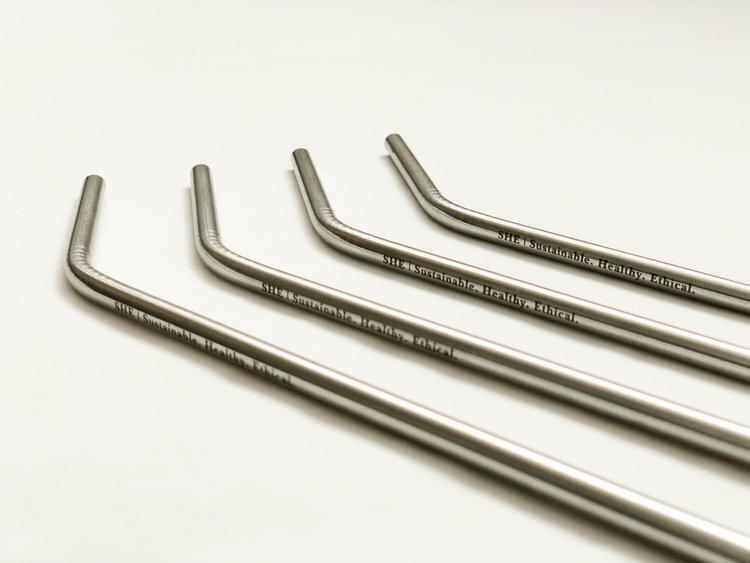 Reusable stainless steel drinking straws are an eco-friendly way to help eliminate and the first change we recommend anyone make on their plastic-free journey. Engraved with SHE | Sustainable. Healthy. Ethical - these straws remind you that simple choices are around us every day that make a BIG difference…like using a reusable straw! Made of premium, 18/8 food grade stainless steel, and bent for easier drinking, these straws are easy to pack on the go, highly reusable, simple to clean, and totally unbreakable. GUIDES TO CREATING A PLASTIC-FREE-ISH LIFE! The kitchen is were we are all touched by the health implications of using plastic. When we store food it plastic, it changes the food and exposes our bodies to plastic chemicals. Here are simple ways to skip the plastic and boost your health. For most people, the bathroom is where you begin and end your day. So why make it a place where you begin and end your day with plastic and chemicals? No thanks! Here are simple ways you can change that. Blue Avocado, a B-Corp, has partnered with Terracycle®, to collect used packaging and products that would otherwise be destined for landfills, and turn it into innovative materials and products like the (re)zip! We’ve made made a handy list of the products you can use to create a more sustainable, healthy, ethical (SHE), plastic-free life on the go! You'll be impressed at all the innovative products. Gotta be honest, we love a good bubble bath as much as the next girl. But during the week, it's all about the shower! However, once we started researching the chemicals in shower curtains, it really made us think twice.